Its been announced today (10th December) that a 6 million pound investment is to make a huge improvement on the Mayflower cruise terminal at the Port of Southampton. Southampton is one of the busiest cruise ports in the world and the busiest in Europe so an upgrade is needed to keep the ports standards up and be able to cater for the growing cruise market. An agreement had been made between Carnival UK and ABP to upgrade the facilities. Carnival is the owner of Princess Cruises and P&O Cruises based in the UK. Renovation work will totally re-design where guests check-in along with drop off and pick up areas. The Security facilities will also be improved which will make the entire experience less daunting. 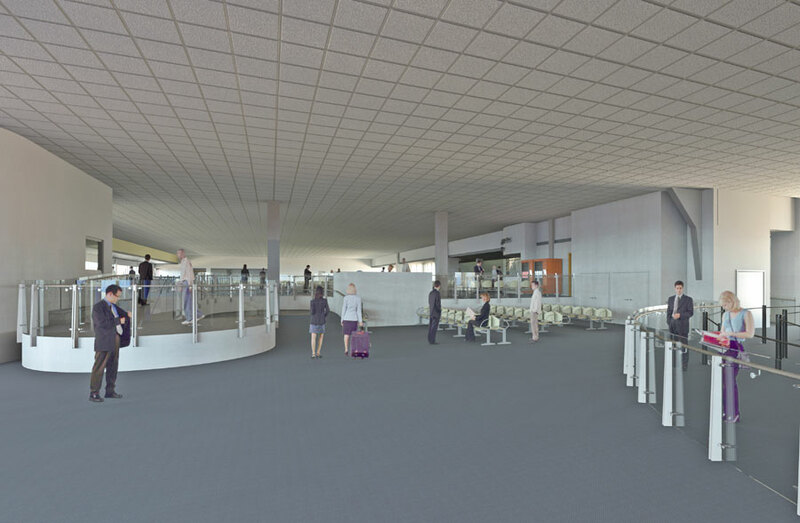 Space inside the terminal will be opened up with a new 35,000 square feet reception area where passengers can wait in comfort. According to the ABP this will help the thousands of people who pass through the terminal every hour. A large lift will be added which will have a capacity of forty-six people. Steven Young, director of port services & government affairs at Carnival UK said: “Cruising out of Southampton forms the core part of our offering to the UK cruise market which in terms of volume is second only to the US. Over 200 workers will be working on the upgrade project which is scheduled to take only 22 weeks. The result will have a knock on effect with the local economy as the terminal will be able to cater for more passengers. Nick Ridehalgh, director of ABP Southampton, said: “The benefits of the improvements will affect a much wider group than just those heading off on cruises. Businesses across the city, such as taxis, hotels and restaurants for examples, all benefit from the cruise industry. The upgrade to the Mayflower cruise terminal is expected to be completed by April 2015. Around the same time two huge ships will begin sailing from Southampton including P&O Britannia from March and then Royal Caribbean’s Anthem of the Seas in April.